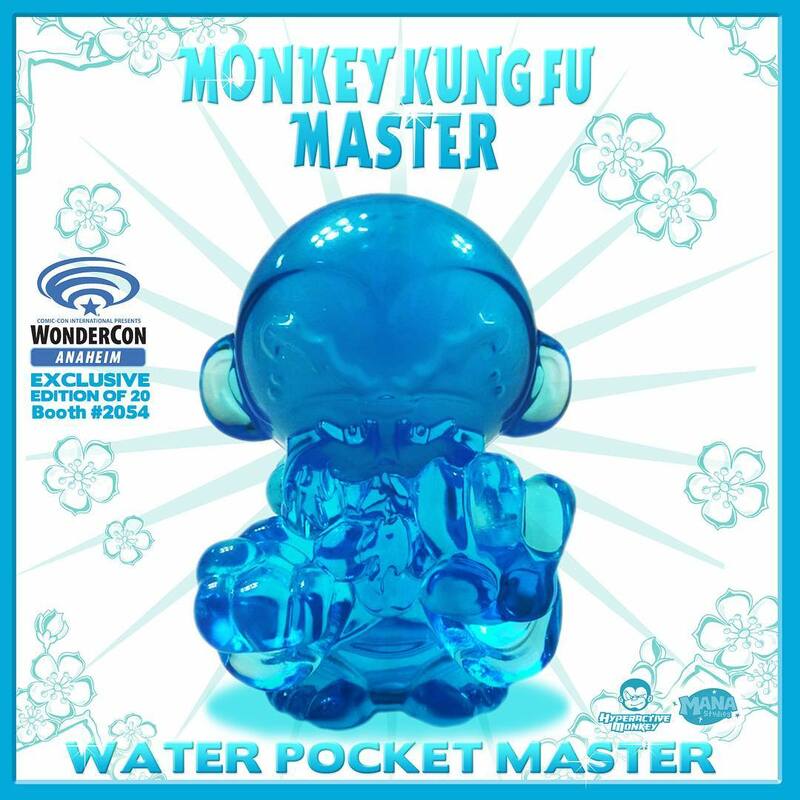 Straight from the Shaolin Temple comes Hyperactive Monkey’s WonderCon 2017 Exclusive Water Pocket Monkey Kung Fu Master Resin Figure! Cast in beautiful translucent blue resin by Mana Studios, this WonderCon exclusive figure stands 3” tall, is limited to just 20 pieces, and comes signed and numbered by artist Jerome Lu. Collectors can pick up this awesome release at the Hyperactive Monkey WonderCon booth #2054 for $65.